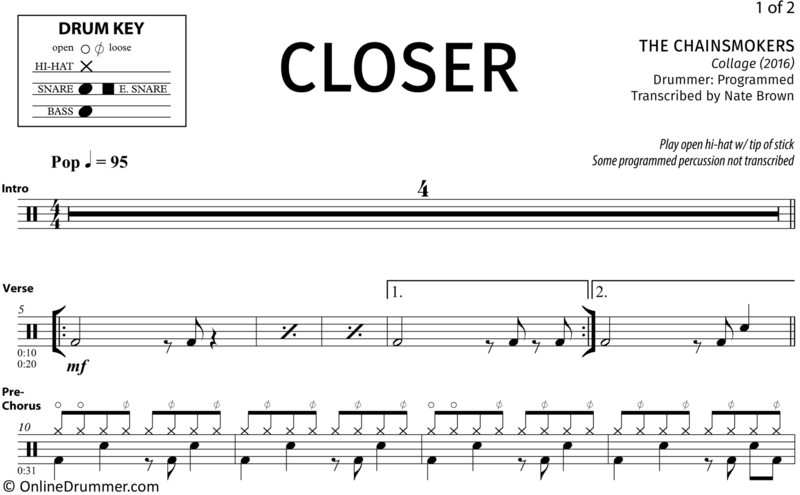 The drum sheet music for “Closer” by The Chainsmokers from the album Collage (2016). This song features a great, programmed drum track that’s a lot of fun to play on an acoustic (or electric) drum kit. The Chainsmokers’ lyric video for Closer has received over 1 billion views to-date. We’ve shared the video below. Have fun playing along with this Billboard hit!